to help restore and rejuvenate. At Amara, we offer friendly Doctor supervised skin care including Anti-Wrinkle Injections, Dermal Fillers, Collagen Induction Therapy aka Derma Roller, The HydraFacial MD® and the renowned ZO Skin-health Restoration program By Dr Zein Obagi for long-term repair and maintenance of healthy glowing skin. We promote the natural look and only perform treatments with proven outstanding results. ‘Less is more’ is our motto, meaning that it is impossible to recognize that our patients have had work done. After treatment in Amara Clinic you can maintain your natural appearance while looking several years younger and much fresher, all in total discretion. We do NOT have patients of ours looking fake or frozen under any circumstances. Customer service and satisfaction are most important to us. We are the only clinic that not only offers free consultation but also free top-ups within 2 weeks of treatment performed, meaning that if you think your treatment could be stronger you can receive a further botox treatment ABSOLUTELY FREE OF CHARGE. In Amara Clinic we believe that facial injectables should be available to everyone, not only rich celebrities. That’s why we’ve made sure our prices are the best on the market without compromising on quality. Only the top of the range products are used by our highly trained and completely discreet staff, promising you a confidential and highly personalized service. On request we provide a “celebrity room”, a fully private treatment room with a sneaky back exit so you can keep your “little secret” ..well .. secret! Over 10 000 happy customers chose Amara Clinic, including well known Irish and UK celebrities so why not choose Amara Clinic for your treatment? Dr Paul is registered with the Irish Medical Council and the UK General Medical Council. He graduated from university college dublin in 2002 and is an associate member of the British College of Aesthetic medicine. Dr Munsanje and Amara Aesthetics are fully insured by Hamilton Fraser cosmetic insurance specialists. Dr Paul Munsanje graduated from UCD in 2002. He has been performing injectable cosmetic treatments since 2007. Dr Paul has worked in the Beacon Hospital, and Malahide Medical Centre and has treated over 15 000 clients with facial injectable treatments. Dr Paul is the Medical director of Amara Clinics. He champions a ‘natural look’ and encourages clients to go for a more long term, ‘less is more’ approach to facial injectables. He attends facial injectables conferences several times per year and his opinion is often sought by national media including the Irish Independent. Dr Aoife Flanagan graduated from University College Cork as a dentist. Dr Flanagan has trained with the top sponsors of Allergan, producers of Botox and trained with the number one Botox and fillers providers Oris Medical in the prestigious Royal College of General Practitioners in London. Being a dentist she has a fine eye for detail and symmetry and always strives for a natural enhancement on all her patients. She attends multiple courses per year to keep up to date on the most advanced techniques being administered. Dr Jerry O’Driscoll began his career as a physiotherapist, working in the field for 8 years before returning to college and completing his medical studies at The Royal College of Surgeons in Dublin. 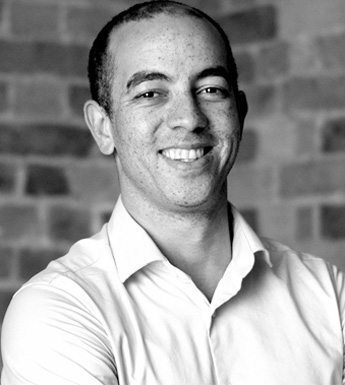 A longtime interest in aesthetic medicine has seen him train closely with Dr Paul and he is currently completing advanced Level 7 training in Aesthetic Medicine while also undertaking CoolSculpting training. Dr Jerry is available now and is our resident CoolSculpting physician. He is IMC and GMC registered and lives in Castleknock with his partner. Dr. Mylene Lim obtained her medical degree from the National University of Ireland, Galway. Dr. Mylene’s post-graduate qualifications include accreditation in Aesthetic Medicine and she is a member of the American Academy of Aesthetic Medicine. Dr. Mylene has a special interest in anti-wrinkle and dermal filler techniques and is dedicated to helping her patients look their best. She loves interacting with patients and is always happy to discuss skin care and skin health with them. She believes in a holistic approach combining safe and effective aesthetic procedures with an appropriate daily skincare regime. Dr. Mylene is originally from Singapore and is fluent in English, Mandarin Chinese, and Malay. 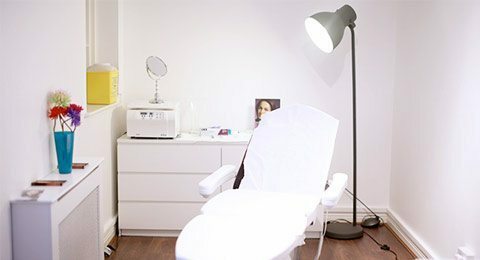 Since qualifying as a professional therapist in Coogan Bergin, Grafton street in 2004, Joanie has specialised in advanced skin treatments and believes that advanced facials are the key to healthy skin. Throughout her 13 years of practice Joanie has trained with various respected institutes within the industry. Joanie works together with her clients to achieve results whatever the concern. Her Philosophy is treat people as you would like to be treated. 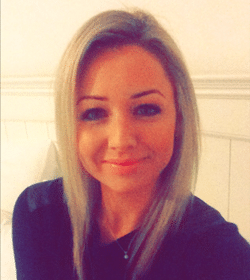 Karolina is our clinic administrator and looks after the bookings office. With an MA from University of A. Mickiewicz in Poland and nearly 10 years in customer service she keeps our team super organised and our clients smiling! Siobhan is our Aesthetic Skin Health Specialist here in Amara Clinic. 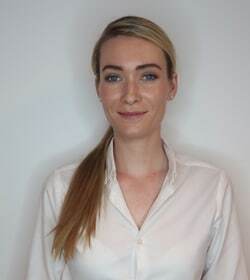 With over 16 years of experience in the industry, Siobhan is specializing in Skin Health and she is highly skilled in diagnosing skin issues and advising on the correct solution. Siobhan will help identify unique sources of skin health concern and will create a personalized program to ensure you look and feel your best whatever your age. Offering an array of treatments for ageing, sun damage, acne or just dull looking skin. Siobhan is also a certified ZO Medical Health Program provider by Dr Zein Obagi. We were delighted to be named the best Cosmetic/Procedure clinic in Ireland at the 2018 Irish Healthcare Centre Awards.